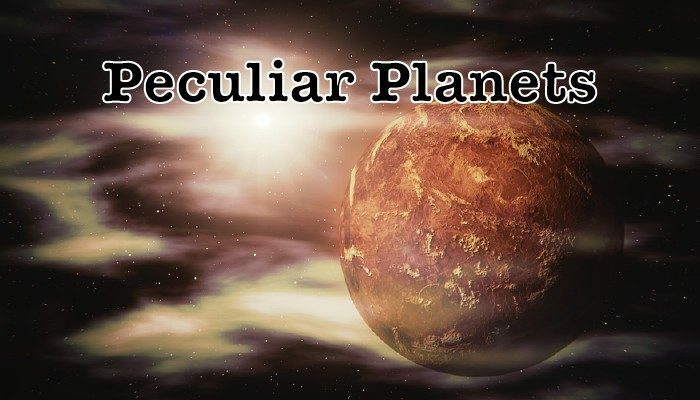 Apart from our own planet Earth, there are a lot of Peculiar Planets out there! In this series we take a look at a planetary body or system worthy of our geodynamic attention, and this week we are back to our own solar system, more precisely to our neighbour Mars. In this post, Robert Citron, PhD student at the University of California, Berkeley, writes about the links between oceans, shorelines, and volcanism on Mars. A David Bowie approved blog post! Whether Mars was warm enough in its early history to support large oceans remains controversial. Although today Mars is extremely cold and dry, several lines of geological evidence suggest early Mars was periodically warm and wet. Evidence for ancient liquid water includes river channels, deltas and alluvial fans, lakes, and even shorelines of an extensive ocean. Such features are carved into Mars’ ancient crust, which contains a remarkable geologic record spanning from over 4 billion years ago to present. How and where fluvial erosion takes place is highly dependent on topography. However, Mars is a dynamic planet and the topography observed today does not necessarily represent the planetary surface billions of years ago. Geological markers that seem misaligned today, such as river flow directions and sea levels, may be more consistent with ancient topography. Geodynamic models of how the planet has changed shape over time can therefore be used to test and constrain evidence of water on early Mars. Shorelines are one example where geodynamic models have helped interpret the geological record. 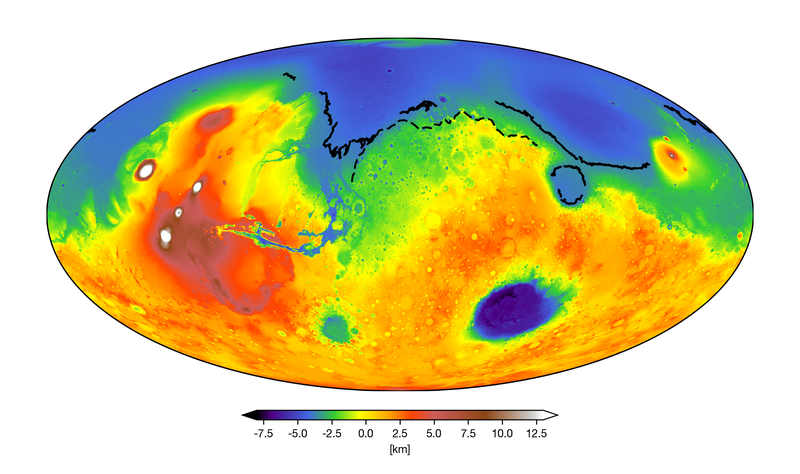 Perhaps the most compelling evidence for ancient Martian oceans are the hypothetical palaeo-shorelines that border Mars’ northern lowland basin. However, the shorelines fail to follow an equipotential surface, or contours of constant elevation, which would be expected if they formed via a standing body of liquid water. One explanation is that the shorelines used to follow an equipotential surface, but subsequent changes to the planet’s shape warped them to their present-day elevations, which vary by up to several kilometers. Two geodynamic processes that likely changed the global shape of Mars are surface loading and true polar wander. True polar wander occurs when a planet reorients relative to its spin axis, which reshapes the planet because it changes the location of the equatorial bulge produced by the planet’s rotation. Large scale true polar wander on Mars was examined by Perron et al. (2007), which found that it could have warped past shoreline profiles to their present-day topographic profiles. Another possibility is that Martian shoreline markers were deflected by flexure associated with surface loads. The emplacement or removal of material on a planet’s surface can cause flexure and displacement of nearby crust. This is observed on Earth, where melting of glaciers has unburdened underlying crust, allowing for rebound and displacement of past shoreline markers. Similar processes could be at work on Mars, but on a global scale. Mars topography: The massive Tharsis volcanic province (red) is situated on the boundary between the southern highlands (orange) and northern lowlands (blue). The lowlands may have been covered by one or more ancient oceans, and are bordered by palaeo-shorelines. Two of the most prominent shorelines are the older Arabia shoreline (dashed line) and younger Deuteronilus shoreline (solid line). Image constructed by R. Citron using MOLA data. Shoreline data from Ivanov et al. (2017) and Perron et al. (2007). The largest load on Mars is the Tharsis rise, a volcanic province that dominates the topography and gravity of the planet. Tharsis was built by volcanic activity over hundreds of millions to billions of years. Its emplacement changed Mars’ shape on a global scale; in addition to the Tharsis rise, there is a circum-Tharsis depression and an antipodal bulge. In recent work (Citron et al. 2018), we found that the present-day variations in shoreline elevations can be explained by flexure from Tharsis and its associated loading. Of the two most prominent Mars shorelines, the older (~ 4 billion years old) Arabia shoreline corresponds to pre-Tharsis topography, deformed by almost all of the flexure associated with Tharsis. The younger (~ 3.6 billion years old) Deuteronilus shoreline corresponds to late-Tharsis topography, requiring only ~17% of Tharsis loading to explain its variations in elevation. This suggests that the Arabia shoreline formed before or during the early stages of Tharsis, and the Deuteronilus shoreline formed during the late stages of Tharsis growth. The match between the present-day shoreline markers and ancient equipotential surfaces supports the hypothesis that the markers do indicate shorelines formed by an ancient ocean. The timing of ancient Martian oceans is consistent with recent work by Bouley et al. (2016), which found that the Mars valley networks (ancient river channels) also better fit Mars’ pre-Tharsis topography. In the topography of Mars prior to Tharsis, the flow direction of the channels are more consistent with the topographic gradient, and the channels occur at latitudes and elevations where climate models predict water ice (resulting in ice melt) to form. The timing of the shorelines and valley networks relative to Tharsis volcanism suggests a close link between the stability of water on Mars and volcanic activity. Atmospheric models predict a cold and icy early Mars, however it is possible that oceans may be more sustainable during periods of heightened volcanism. Tharsis activity has also been associated with outflow channels indicative of catastrophic flooding that may have inundated the northern plains with water. Further examination of the link between Tharsis volcanism and oceans could increase our understanding of early Mars habitability. Bouley, S., Baratoux, D., Matsuyama, I., Forget, F., Séjourné, A., Turbet, M., & Costard, F. (2016). Late Tharsis formation and implications for early Mars. Nature, 531(7594), 344. Citron, R. I., Manga, M., & Hemingway, D. J. (2018). Timing of oceans on Mars from shoreline deformation. Nature, 555(7698), 643. Ivanov, M. A., Erkeling, G., Hiesinger, H., Bernhardt, H., & Reiss, D. (2017). Topography of the Deuteronilus contact on Mars: Evidence for an ancient water/mud ocean and long-wavelength topographic readjustments. Planetary and Space Science, 144, 49-70. Matsuyama, I., & Manga, M. (2010). Mars without the equilibrium rotational figure, Tharsis, and the remnant rotational figure. Journal of Geophysical Research: Planets, 115(E12). Perron, J. T., Mitrovica, J. X., Manga, M., Matsuyama, I., & Richards, M. A. (2007). Evidence for an ancient martian ocean in the topography of deformed shorelines. Nature, 447(7146), 840. Ramirez, R. M., & Craddock, R. A. (2018). The geological and climatological case for a warmer and wetter early Mars. Nature Geoscience, 11(4), 230. Apart from our own planet Earth, there are a lot of Peculiar Planets out there! In this series we take a look at a planetary body or system worthy of our geodynamic attention, and this week we move back to our own solar system. Many of us will clearly remember the downgrading of Pluto as a planet nearly 12 years ago to the month. In this informative and witty post, Laurent Montesi from the University of Maryland makes a case for reinstating Pluto of planetary status, plus a handful of others, or at least a review of definitions. Bring on Club Planet! A planet is a celestial body that (a) is in orbit around the Sun, (b) has sufficient mass for its self-gravity to overcome rigid body forces so that it assumes a hydrostatic equilibrium (nearly round) shape, and (c) has cleared the neighbourhood around its orbit. When Resolution 5A was passed by the International Astronomical Union (IAU) during the closing ceremony of its 2006 General Assembly, Pluto was “demoted” from the rank of the true planets to a dwarf planet. Children’s eyes filled with tears over the injustice made to “poor little Pluto”, textbooks were rewritten, and the Nine Pizzas that My Very Excellent Mother Just Served Us turned to Noodles. I see where the IAU came from when crafting this definition, and to some extent, I agree with it. But it is not relevant to me. The thing is, I am not an astronomer. I recognize the authority of the IAU to name geological features on planets and other worlds, but I’m a geologist. Pluto, like many other solar system objects, has too much exciting geology to be ignored! 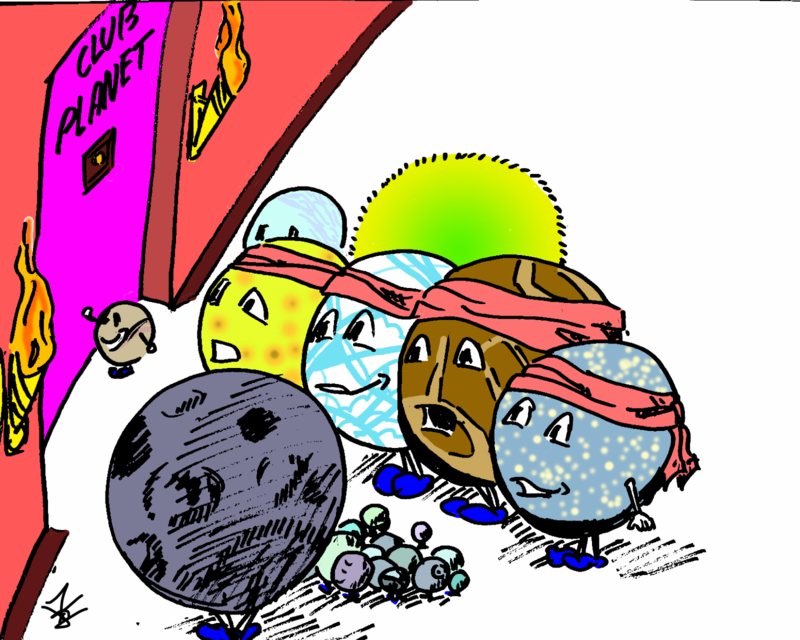 Figure 1: The five Dwarf Planets currently recognized by the IAU, proud members of Club Planet. To me, a dwarf planet is first and foremost a planet, and what interests me in planets is their geological activity. If, as stated in part b of the IAU definition, an object is able to “overcome rigid body forces” (whatever that means), that should leave a geological trace. I don’t care if the planet cleared its neighbourhood or not. So, I take the IAU definition as an invitation for Ceres, Pluto, Eris, Haumea, and Makemake to join the exclusive Club Planet (Figure 1). They all bring interesting geology to the Club. Look at the results of the Dawn and New Horizons missions! Ceres has mountains, fractures, oddly hexagonal craters, and a remarkable bright spot beckoning explorers to study its water-rich interior. Pluto has become a superstar of planetary exploration, with oceans of frozen nitrogen, diverse terrains, large rifts, perhaps a giant ice volcano, and the cutest heart tattoo in the solar system. I’d like to go even further and open the door of the Club to many satellites (Figure 2). Our Moon is the doorway towards understanding the early evolution of terrestrial planets like the Earth. It taught us about giant impacts and magma oceans. If you want to find liquid water (and possibly life) today, go to Europa or Enceladus. If you are looking for alien plate tectonics, check out Ganymede and Europa. Are you searching for a thick atmosphere, rivers, and lakes? Welcome to Titan. Who has the most volcanic activity today? Please stand up, Io. What incredible rifts you have, Miranda and Charon! From a geological standpoint, satellites are as rich as any planet. Figure 2: Knocking at the door of Club Planet are several of the satellites of the solar system: Earth’s Moon, the four Galilean Satellites Io, Europa, Ganymede, and Callisto, the large moons Titan and Triton, as well as numerous smaller, but geologically interesting satellites. They are led by Pluto’s moon Charon. So, what actually is a planet? To the ancient Greeks, they were dots of light wandering against the rigid background of the night sky. These dots then turned out to be balls. Galileo saw four satellites around Jupiter, and in the redesigned solar system, planets could only orbit the Sun. Eventually, so many objects were found that it was decided that it mattered whether a planet “cleared their planetary neighbourhood” or not. Some objects were not enough of a bully to be regarded as a full planet, so they were called dwarfs. All along, astronomy guided our thinking about what is a planet and what is not. Interestingly, the 2006 IAU definition merges astronomy and geophysics: what does it matter to an astronomer that the object has reached hydrostatic equilibrium? That is a geophysical criterion. Perhaps it matters in the sense that the interior is fluid enough that one should consider how dissipation influences orbital evolution. If that is the case, though, can tidal interaction with satellites be regarded separately? I don’t know why the IAU was interested in hydrostatic equilibrium, or even if that is a valid question to consider, because, once again, I am not an astronomer. I’m a geologist. I study the geological activity and the interior evolution of… well… planets… and dwarf planets… and satellites… perhaps exoplanets one day… although not the ice giants and gas giants because, as far as I am concerned, they are different beasts altogether. The fact is, the IAU definition does not help me. Perhaps there could be a geological definition of a planet, or whatever you want to call the various objects I am interested in. 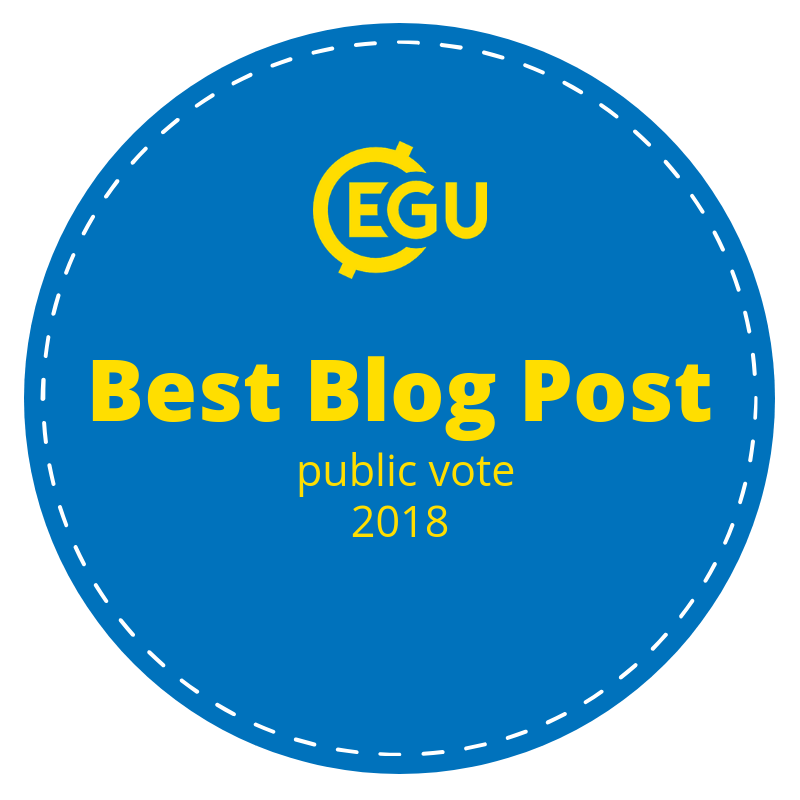 Perhaps the International Union of Geodesy and Geophysics (IUGG) — which, like the IAU, is a member of the International Science Council — could propose a definition more in line with my research interests, but as far as I know, there is no discussion of that. In the meantime, resistance to the IAU definition is growing in our community. David Grinspoon and Alan Stern recently published a Perspective in The Washington Post1. Around twenty scientists got together to discuss a “Geophysical Planet Definition” at the start of the 2018 Lunar and Planetary Conference. One major point of agreement was that no one should feel obligated to follow the IAU’s definition (we are all rebels now), or any other definition. 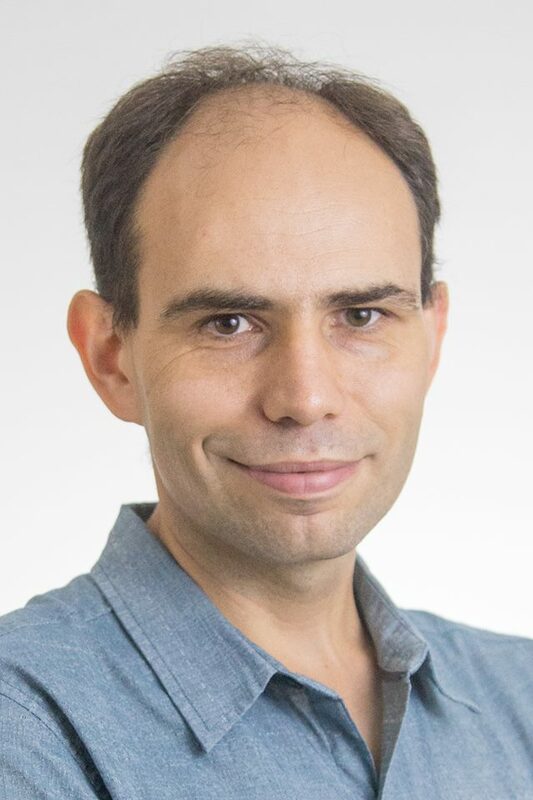 At the 2017 Lunar and Planetary Conference, Kirby Runyon and coworkers proposed the following “Geophysical Planet Definition”2: A planet is a sub-stellar mass body that has never undergone nuclear fusion and that has sufficient self-gravitation to assume a spheroidal shape adequately described by a triaxial ellipsoid regardless of its orbital parameters. I find there is a lot to like with this proposal. For example, it would allow me to consider satellites as planets. If I focus on internal evolution, it doesn’t really matter what object my planet is orbiting. Of course, this influences the possibility of tidal heating, but I can regard that as an external energy flux, like the energy of accretion for impacts. Interestingly, the draft “Geophysical Planet Definition” does not explicitly mention hydrostatic equilibrium. In the IAU definition, the hydrostatic equilibrium criterion implies that planets have a minimum size. It also assumes that the planet behaves as a fluid. In that case, what are we to do with the solid planets, like the Earth? We have evidence of frozen hydrostatic bulges, especially for the Moon. In other words, geological bodies can be strong enough to support a significant deviation from hydrostatic equilibrium. 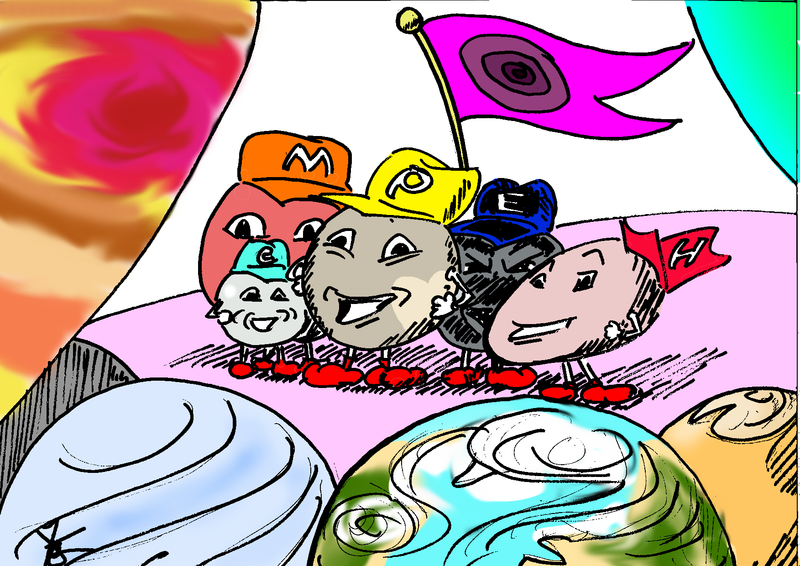 Hydrostatic equilibrium is not the best way to define a planet from a geological standpoint. 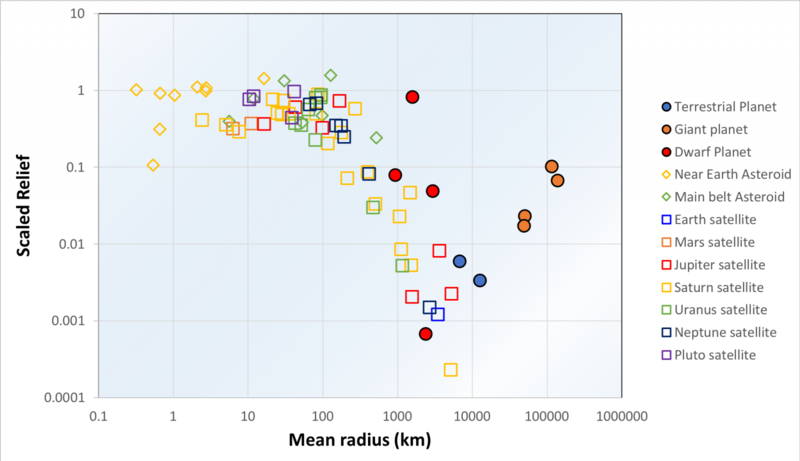 Figure 3: Ratio of relief scaled by planetary radius against mean radius based on best fitting triaxial ellipsoid for a variety of solar system objects, drawn following Melosh (2011). The maximum relief is controlled by friction for objects smaller than ~100 km in diameter and by strength for larger objects. Note that some objects like Mercury and Venus do not appear on this graph as they have no measurable flattening, due to their small rotation rate. Gas and ice giants appear to deviate from the trend of solid planets. Where the IAU definition focuses on the driving force, it may instead be useful to focus on the strength of the planet. In his Planetary Surface Processes book, Jay Melosh discusses the relation between strength and gravity3. He concludes that for small bodies, relief (quantified as the difference between the maximum and minimum radius of an object, divided by the average radius) is independent of size, whereas it decreases inversely with the square of the average radius for larger solar system objects. In these larger objects, relief is limited by the strength of the body. The transition between these two trends is a planetary diameter of 200 to 400 km (Figure 3). This division leaves all of the objects for which we have evidence of geological activity driven by internal processes safely within the category of planets. Ancient planetesimals were probably big enough to be regarded as planets, and indeed, evidence for internal differentiation suggests that their interior was quite active. So, in my view, a planet is simply a body large enough to have small relief as compared to its radius. This is evidence of relatively low internal strength, which allows geological activity to take place. I don’t need to consider where it orbits, and if it cleared its “planetary neighbourhood” or not, as that doesn’t affect geology. The pitfall of my very inclusive view of what is a planet is the consequentially large number of objects to consider, but variety is the spice of life. Why limit the diversity of geological activity to consider? There can be subcategories, as Alan Stern actually advocated: gas giants, ice giants, terrestrial planets, dwarf planets, satellite planets, even exoplanets. From a geological standpoint, the ones I am least likely to study are actually the giant planets, whose activity is dominated by atmospheric processes. But feel free to consider them. Perhaps I should leave the term “planets” to the astronomers, and advocate instead for a new term, “geological worlds”. What remains is, whichever classification you choose to adopt should be adapted to the research you do. For me, I want to embrace the geological diversity of our solar system. Apart from Earth, there are a lot of Peculiar Planets out there! Every 8 weeks, give or take, we look at a planetary body or system worthy of our geodynamic attention. When the discovery of additional Earth-sized planets within the TRAPPIST-1 system was revealed last year, bringing the total to 7 planets, it captured the minds of audiences far and wide. 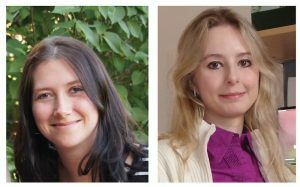 This week, two of the authors from a 2017 Nature Astronomy study on the TRAPPIST-1 planets, Lena Noack from the Department of Earth Sciences at the Free University of Berlin and Kristina Kislyakova from the Department of Astrophysics at the University of Vienna, explain more about this fascinating system. For Earth scientists, it often seems like a huge endeavour to talk about the geodynamics and other interior processes of the other planets in our Solar System like Mars or Venus. But what about exoplanets? It’s very daring! We have almost no information about the thousands of planets that have been discovered so far in other places of our galaxy. These planets orbit other stars, of which some are quite similar to our Sun whereas other stars behave very differently. But how much do we actually know about planets around these stars? Exoplanet hunting missions like Kepler have shown that the majority of exoplanets are actually small-mass planets – not huge gas giants like Jupiter – and are often smaller than Neptune, with some being even smaller than Earth. We have a pretty good idea of what some of these planets could look like, for example we know their mass, their radius, we might even have some spectral information on their atmospheres, we know how much energy they get from their star, and we might even know something about the star’s composition. This information hints at the composition of the planetary disk from which planets are made, and how much radioactive heating they may experience during their later evolution. Putting all these pieces together gives us several clues on how the planets may have evolved over time, and is comparable to the wealth of information we had of our neighbouring planets before the age of space exploration. However, in contrast to our Solar System, we cannot (at least not with our technological standard of today) travel to these planets. The only way we can learn more about exoplanets is if we combine geophysical, thermodynamical and astrophysical models – derived and tested for Earth and the Solar System – and apply them to exoplanet systems. 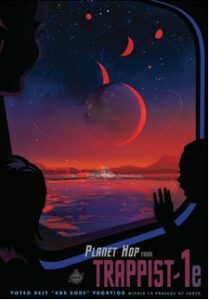 One exoplanet system that is quite intriguing is the TRAPPIST-1 system, which has been observed by several different space and ground-based telescopes including TRAPPIST (short for TRAnsiting Planets and PlanetesImals Small Telescope, or otherwise known as a European monastery-brewed beer) and the Spitzer Space Telescope. The system contains at least 7 small, densely-packed planets around an 8 Gyr old M dwarf. All planets have masses and radii close to Earth – from TRAPPIST-1c and -1h, which are both ¾ the radius of Earth, to TRAPPIST-1g, which is 13% larger than Earth. For comparison, Venus, our sister planet, has a radius 5% smaller than Earth, and Mars, our small brother planet, is only half the size of Earth. And the greatest news: TRAPPIST-1 is actually in our direct neighbourhood, only 39 light years away. This is literally around the corner! For comparison, our closest neighbour planet outside the Solar System is Proxima Centauri b with a distance of 4.2 light years. Its star belongs to a system of three stars, the most well-known of which is Alpha Centauri, the closest star outside the Solar System. Some day, it may actually be in our reach to travel to both the Centauri system as well as TRAPPIST-1. So we should learn now as much about these planets as possible. What makes the TRAPPIST-1 planets truly peculiar are their tight orbits around the star – the closest planet orbits at a distance of 0.0011 AU – so only 0.1 percent of Earth’s orbit. Even the furthest planet in the system discovered so far– TRAPPIST-1h – has an orbit of only 0.0063 AU. In our Solar System, Mercury, the closest-in planet, orbits at a distance of 0.39 AU. Does this mean that the planets are boiling up due to their close orbit? Not necessarily, since TRAPPIST-1 is a very dim red M dwarf, which emits much less light than the Sun in our system. If we would place Earth around this red M dwarf star, it would actually need to orbit at a distance of about 0.0022 AU to receive the same incident flux from the star. Actually, if we look at the possible distances from the star, where (depending on the atmosphere greenhouse effect) liquid water at the surface could theoretically exist for a somewhat Earth-like atmosphere (that is, composed of gases such as CO2 and N2), TRAPPIST-1d, -1e, -1f and -1g could potentially contain liquid water at the surface and would thus be habitable places where Earth-like life could, in principle, form. Of course, for that to occur several other factors have to be just right, as well. This zone, where liquid water at the surface could exist, is called the Habitable Zone or Temperate Zone, and is indicated in green in the illustration of the TRAPPIST-1 system compared to the inner Solar System below. So, should we already book our trip to TRAPPIST-1? Well, there are other factors that may endanger the possible habitability of these otherwise fascinating planets. First of all, TRAPPIST-1 is really different from the Sun. Although it is much dimmer and redder, it still emits almost the same amount of harsh X-ray and extreme ultra violet radiation as our Sun, and in addition, produces powerful flares. For the TRAPPIST-1 planets, which are so close to their star, it means that their atmospheres are exposed to much higher levels of short wavelength radiation, which is known to lead to very strong atmospheric escape. A nitrogen-dominated atmosphere, like the one Earth has, would likely not be stable on the TRAPPIST-1 planets in the habitable zone due to exposure to this short wavelength radiation for gigayears, so carbon dioxide Venus-like atmospheres are more probable. Besides that, stellar wind of TRAPPIST-1 may be very dense at planetary orbits, powering strong non-thermal escape from planetary atmospheres and leading to further erosion of the atmosphere. Another interesting feature of the M dwarfs, especially such low-mass ones as TRAPPIST-1, is their extremely slow evolution. On the one hand, this means very long main-sequence life times of such stars, with stable radiation levels for many gigayears. Could this maybe allow very sophisticated life forms to evolve? On the other hand, when these stars are young, they go through a contraction phase before entering main sequence, which is much longer than the contraction phase of G-dwarfs such as the Sun. During this phase, the stars are much brighter and hotter than later in their history. For TRAPPIST-1 planets this would mean they have been grilled by hot temperatures for about a billion years! Can they still retain some water after such a violent past? Can life form under such conditions? We don’t really know. In any event, it seems that water retaining and delivery might be a critical factor for TRAPPIST-1 planets’ habitability. Since the planets are so densely-packed in the system, the masses of neighbouring planets as well as the mass of the star have a gravitational effect on each other – just as the Moon leads to high and low tides of Earth’s oceans. Only, the tidal forces acting on the TRAPPIST-1 planets would be much stronger, and could lead to immense energy being released in the interior of the planets due to tidal dissipation. Furthermore, the star itself appears to have a strong magnetic field. An electrical current is produced if a conductive material is embedded in a changing magnetic field, which is used, for example, to melt iron in induction furnaces. Similarly, the mantle of rocky planets are conductive and can experience enhanced energy release deep in the upper mantle due to induction heating. Both induction heating and tidal heating can have a negative effect on the potential habitability of a rocky planet, since strong heating in the interior can be reflected by equally strong volcanic activity at the surface. This would lead to a hellish surface to live on! The interior may even be partly molten, leading to subsurface oceans of magma, which actually may be the case for TRAPPIST-1b and -1c. Even TRAPPIST-1d may be affected by strong volcanic events due to both induction and tidal heating of the interior. TRAPPIST-1f, -1g and -1h might be too cold at the surface to have liquid water, and might rather resemble our water-rich icy moons orbiting around Saturn and Jupiter. Hence TRAPPIST-1e, which receives only a little less stellar flux compared to Earth, may be the most interesting planet to visit in the system. But what would life look like on such a planet? The tidal forces described above also lead to a different effect: the planets would always face the star with only one side (this is called a tidal lock). Therefore, planets would have a day side that was always facing the star, and a night side immersed into eternal darkness and where no light ray is ever received from the star. Such a tidally-locked orbit is similar to the Moon-Earth system, as the Moon shows us always the same face – the “near-side” of the Moon. The other side, the “far-side” of the Moon, is only known to us due to lunar space missions. Can you imagine living at a place where it never gets dark? On the other hand, the luminosity from the star is very weak. Life on the TRAPPIST-1 planets might therefore actually look different than on Earth. To obtain the needed photons used in photosynthsesis (if this process would also evolve on these planets), life might evolve to favour a large variety of pigments that would enable it to make use of the full range of visible and infrared light – in other words, plants on these planets would appear black to us. 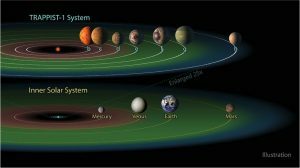 TRAPPIST-1 planets certainly still harbour many mysteries. They are a very good example how diverse the planets in the universe can be. If we set our imagination free… Black trees under the red star in the sky, which never sees a sunrise or sunset, powerful volcanoes filling the air with the ash and shaking the ground. Very different from our Earth, isn’t it? Kislyakova, K., Noack, L. et al. Magma oceans and enhanced volcanism on TRAPPIST-1 planets due to induction heating. Nature Astronomy 1, 878-885 (2017). Gillon, M. et al. Seven temperate terrestrial planets around the nearby ultracool dwarf star TRAPPIST-1. Nature 542, 456-460 (2017). Kiang, N. et al. The Color of Plants on Other Worlds. Scientific American, April 2008, 48-55 (2008). Barr, A.C. et al. Interior Structures and Tidal Heating in the TRAPPIST-1 Planets. Astronomy and Astrophysics, in press. Luger, R. et al. A seven-planet resonant chain in TRAPPIST-1. Nature Astronomy 1, 0129 (2017). Scalo, J. et al. M stars as targets for terrestrial exoplanet searches and biosignature detection. Astrobiology 7(1), 85-166 (2007). 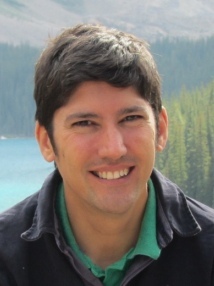 Ramirez, R.M. and Kaltenegger, L. The habitable zones of pre-main-sequence stars. The Astrophysical Journal Letters 797(2), L25 (2014). Apart from Earth, there are a lot of Peculiar Planets out there! Every 8 weeks, we look at a planetary body worthy of our geodynamic attention. This week Richard Ghail, lecturer in Engineering Geology at Imperial College London in the United Kingdom, discusses Earth’s sister: Venus. Geologists have long held the view that they only have the results of one experiment: Earth. The growing list of Earth-like planets around other stars (exo-Earths) means that such a view is no longer valid, even if we have limited knowledge of those worlds. Surprisingly, perhaps, our own Solar System boasts two exo-Earths: and the other one is not Mars, as you might think, but Venus. Our nearest planetary neighbour is also the most similar to Earth: at about 80% of its mass and 95% of its radius, and orbiting arguably within our Sun’s habitable zone, Venus would be recognised as an Earth-like exoplanet if it were in orbit around another star. 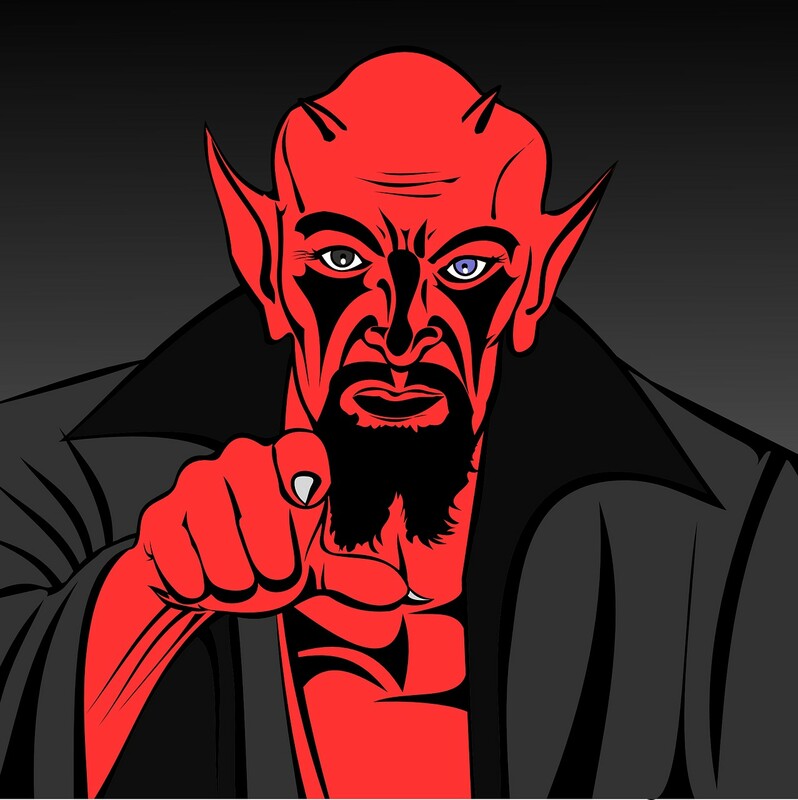 Yet the results of these two experiments could not be more different: Earth may not quite be Eden, but Venus is certainly the closest place we know to hell. Its dense global shroud of sulphuric acid clouds hides a surface on which a person would be simultaneously roasted (at 450°C), crushed (at 90 atmospheres pressure), poisoned and asphyxiated (its atmosphere is 95% CO₂), and corroded (not by sulphuric acid, which decomposes under the extreme conditions, but by HCl and even HF!). The armoured Soviet Venera landers survived only a couple of hours on the surface, but still managed to return tantalising pictures of a barren rocky landscape bathed in an orange light. A geodynamic surprise: Catastrophe or not? NASA’s Magellan mission (1989-1994) revealed that geodynamically too, Venus was a surprise. A wealth of volcanoes, rifts and mountains cover its surface but there is little evidence for the spreading ridges and deep trenches that characterise plate tectonics on Earth. More perplexing was the realisation that the 950 or so impact craters – implying a youthful 500 Ma average age – were distributed apparently at random. Had the whole planet been somehow catastrophically resurfaced in one go, half a billion years ago? As strange as it might sound, there appeared to be good reasons to think so: that 450°C surface temperature is enough to stop the crust subducting, effectively shutting down plate tectonics. Without that safety valve, the interior of Venus must be getting ever hotter at the same time that exterior cools and thickens the lithosphere. Such a situation is inherently unstable and calculations showed that Venus should ‘blow its top’ every 500 Ma or so – explaining both the lack of plate tectonic features and the crater distribution. The Venus enigma was solved. Or was it? The theory divided the community into bitterly opposed sides for the next decade or more. One group could see a global sequence of events in its geological features that seemed to confirm the theory; while the other could see an array of geological complexity at odds with it. ESA’s Venus Express mission (2005-2012) focussed on the planet’s atmosphere but it revealed a remarkably dynamic and changeable system that must somehow reflect geodynamic activity below. It even found tantalising hints of recent volcanic activity. Understanding both the geological evidence and the crater distribution turns out to depend on the very thing that set Venus apart from Earth: its extreme surface conditions. The high temperature not only makes the crust buoyant, but weak, especially so at about 10 km depth, where it is able to shear relative to the mantle below. In this new geodynamic view, plate tectonics does operate on Venus much as it does on Earth, but under 10 km of crust, not 5 km of ocean (Ghail, 2015). As well as explaining the large-scale features of Venus, including its geoid, calculations show that this subcrustal rejuvenation, as it is called, is able to maintain the heat balance on Venus). No catastrophic events are required. If the crater distribution is not the result of a global catastrophe, what caused it? Mechanically, the basaltic crust of Venus behaves much like Earth’s granitic continental crust, and is similarly broken into many small plates, or terranes, on the order of 500 to 1500 km across, characterised by low strain interiors and highly deformed margins, similar to terrestrial continental blocks. On Earth these terranes are driven by far-field plate tectonic stresses but on Venus they are driven by subcrustal rejuvenation stresses that jostle the terranes against one other but do not move them far across the surface. Impact craters are preserved in terrane interiors but rapidly destroyed at their margins, so that the average crater spacing is similar to the size of terranes. The preserved terrane-interior craters are only destroyed when the terrane is itself destroyed, most likely by interaction with a subcrustal plate boundary (rift or collision), which by inference is something that occurs on average every half billion years. This new geodynamic understanding refines our appreciation of how the geochemistry and geomechanics of the outer few kilometres of the planet profoundly influence stagnant-lid behaviour, promising new insights into early-Earth geodynamics and the nature of newly-discovered exo-Earths. Welcome to hell Venus. I want you to explore it! So our views of Venus have changed; our Solar System’s second experiment is, geodynamically, rather more similar to Earth than once imagined. Even so, these ideas have yet to be tested, and our nearest neighbour retains many secrets. Almost nothing is known about its interior, its rates of activity, or even how Venus maintains such a hostile atmosphere. A new phase in Venus exploration is called for, and within Europe the most promising is the proposed EnVision mission, which is currently undergoing evaluation by ESA. EnVision will use an advanced Earth Observation heritage interferometric radar to measure and monitor geological activity over a 5-year period and obtain images at up to 1 m resolution – sufficient to locate and track the Venera landers, providing the precise geodetic control needed to measure terrane deformation. A radar sounder will probe the near subsurface and an IR/UV emission spectrometer will map geochemistry and follow volcanic gases from their source to the upper atmosphere. NASA has proposed landers that could probe interior seismicity, and in the future balloons may directly sense cloud chemistry and dynamics. Unlike the Moon and Mars, these missions will be exploring a world that is – in a geodynamic sense, at least – very much alive. Ghail, R. (2015). Rheological and petrological implications for a stagnant lid regime on Venus. Planetary and Space Science, 113, 2-9.